If a loved one of yours is in jail and is facing criminal charges, you need to learn more about Dougherty County bail bonds quickly. A bail bond is a more affordable way to get out of jail after an arrest. Your Dougherty County bail bondsman will make the process as easy as possible for you, and your loved one will not have to fight a serious case from a jail cell. Anytime Bail Bonding, Inc. provides bail bonds in Dougherty County and can help you. Call (229) 435-3585 today to schedule bond service ASAP. Or, if you’re securing a bond for another person, feel free to stop by our offices at 200 Flint Avenue, Albany, GA 31705. You need someone who will be your advocate. Bail bondsmen in Dougherty County should keep in touch with your loved one to stay current on court dates as the case progresses. Also, your bondsman should be familiar with the bail bonds process in Dougherty County and with bond rules in Georgia. When a bail amount is set, a criminal bond allows someone to get out of jail for a fraction of the cost. You pay the bond fee to a Dougherty County bail bonds company, and a bondsman arranges your loved one’s release. For every set court date, the individual must appear to avoid owing the full bail amount. When the case is over, the bail arrangement also ends if your account is settled. A good company is either open or accessible by phone 24/7. 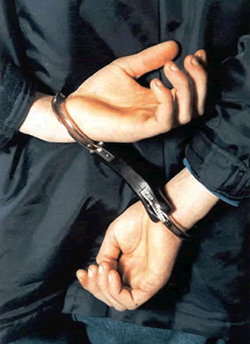 Bail companies understand that arrests happen at all hours, and they often happen on weekends or on holidays. Reputable bail bondsmen in Dougherty County GA who work for Anytime Bail Bonding, Inc. are honest, efficient, patient and compassionate. They understand how upset family members are during such a difficult time, and they work hard to accommodate every person’s financial and emotional needs. Dougherty County was established in 1853 and was named after Judge Charles Dougherty. If a loved one of yours must appear before a modern judge soon, call now to speak with a Dougherty County bail bondsman. We ask for basic information about the person who is in jail, and we ask where the person is being held. A bondsman ensures that your loved one is released. The bond fee is about 15 percent of the bail amount. When you make bail arrangements, a bondsman reviews payment options with you before you sign any papers.